The Pangu jailbreak team has just rolled out the 8.0-8.1.x Untether 0.2 package, which contains a number of bug fixes and minor enhancements. All of the relevant details, including how to avail the new package if you’re jailbroken on iOS 8.0 – iOS 8.1, can be seen after the fold. Seeing a jailbreak so soon after a new software update is rolled out by Apple is something of a rarity, and although we knew that Pangu was busily working its magic behind the scenes, we certainly didn’t expect a rredelease as quickly as last week. But while the Chinese jailbreak team has been quick to the draw, the jailbreak ‘tool’ – such as it is – is rather fragmented, with early adopters having had to run through a series of manual steps to achieve what is usually attainable in a couple of clicks. The very nature of hacking is such that imperfections are frequent, and if you’re looking for an all-in-one Pangu tool that does all of the work in a couple of moments, then you should definitely hold off and wait for a future version. But if you’ve been brave enough to jump straight into the cold water, then Untether 0.2 is ready to be installed on your iPhone, iPad or iPod touch. Luckily, everything can be processed via the Pangu app, so there’s very little effort involved on your part, although you will need to remove any Passcode security you have in place before proceeding. The new Untether 0.2 package fixes, among other things, a bug in iMessage, crashes of the Safari app and Cydia Substrate not loading after reboot, so if you have a couple of spare minutes, here’s how to install it. Step 1: Before doing anything, ensure that your device is not locked with a Passcode. Step 2: Tap on the Pangu app on your device’s home screen. Step 3: Tap on the Manager icon at the bottom in the center, and then hit Update. Step 4: In the top-right, you can refresh, which will pull up any updates you’ve yet to install. Step 5: Tap on the subsequent update, and when prompted, hit YES. 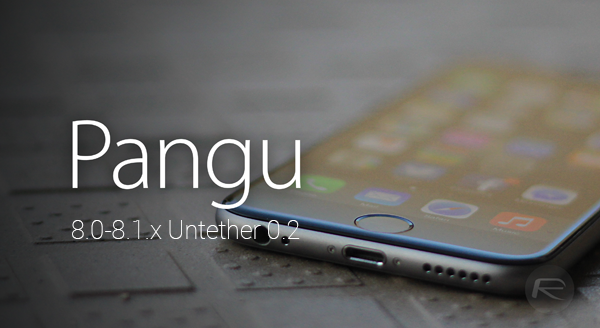 Thankfully, applying the Untether 0.2 update is fairly painless, and if you’ve jailbroken your iDevice using Pangu over the past week, then be sure to follow the steps outlined above. Check what version of pangu8 u have on the app’s home page. The latest version is 0.4. I think that on later versions the updates come via cydia itself and therefor there wouldn’t be a manage tab on the pangu app anymore. I have the 0.4 version. Wat do you mean when you say the updates come via cydia? If so, how would I be able to update via cydia?